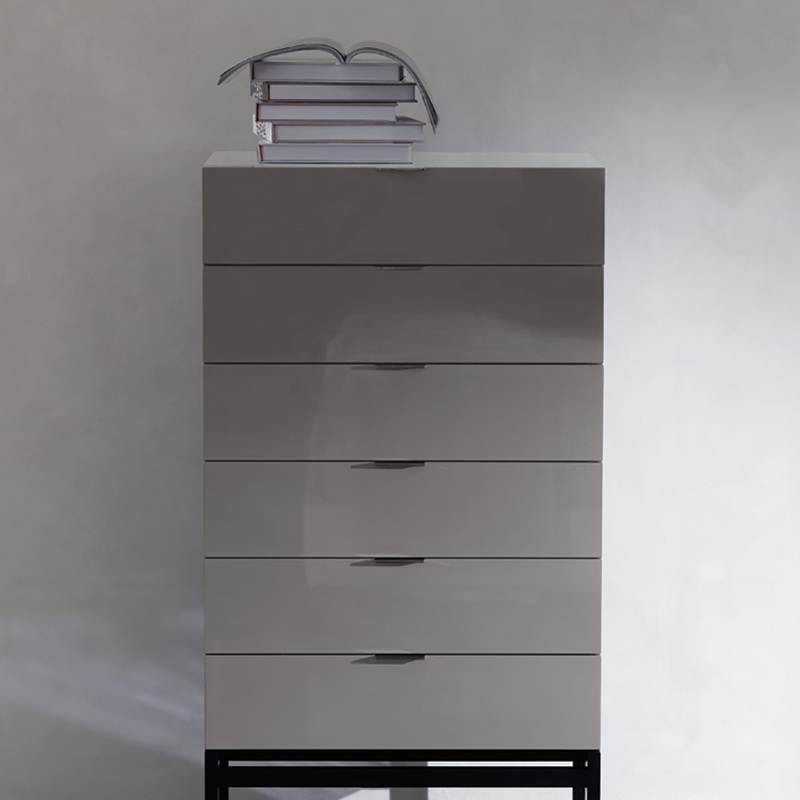 A set of remarkably elegant cabinets with character, enhanced by lightweight volumes and contemporary style. 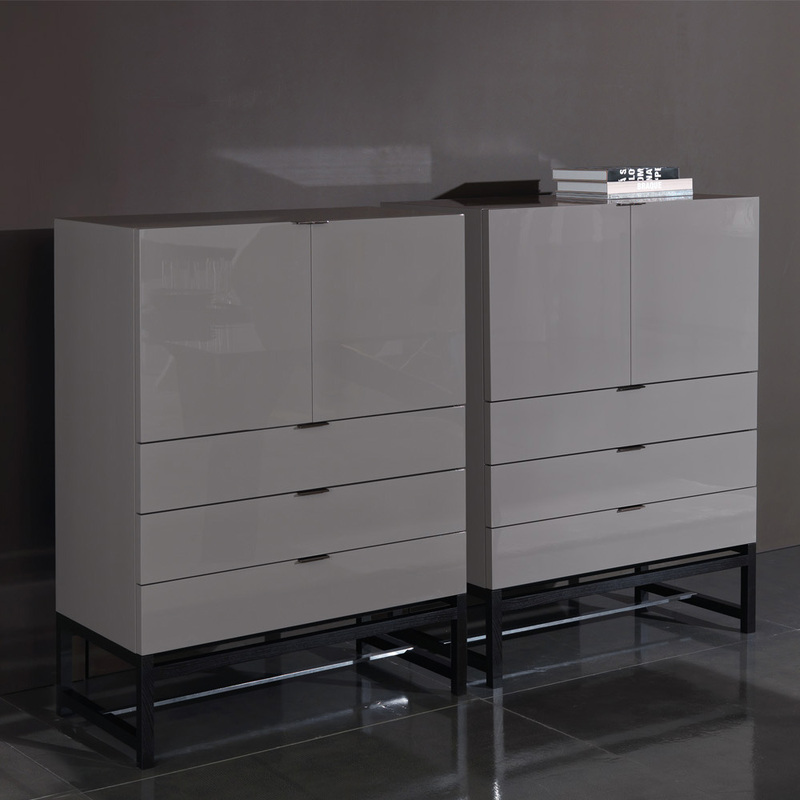 Harvey means a perfect blend of tradition and modernity, its brown coffee wood base contrasting with the bright lacquered cabinets and sophisticated, black-nickel finished metal details. The refined volumes evoke scandinavian cabinets dating from the 1960s. 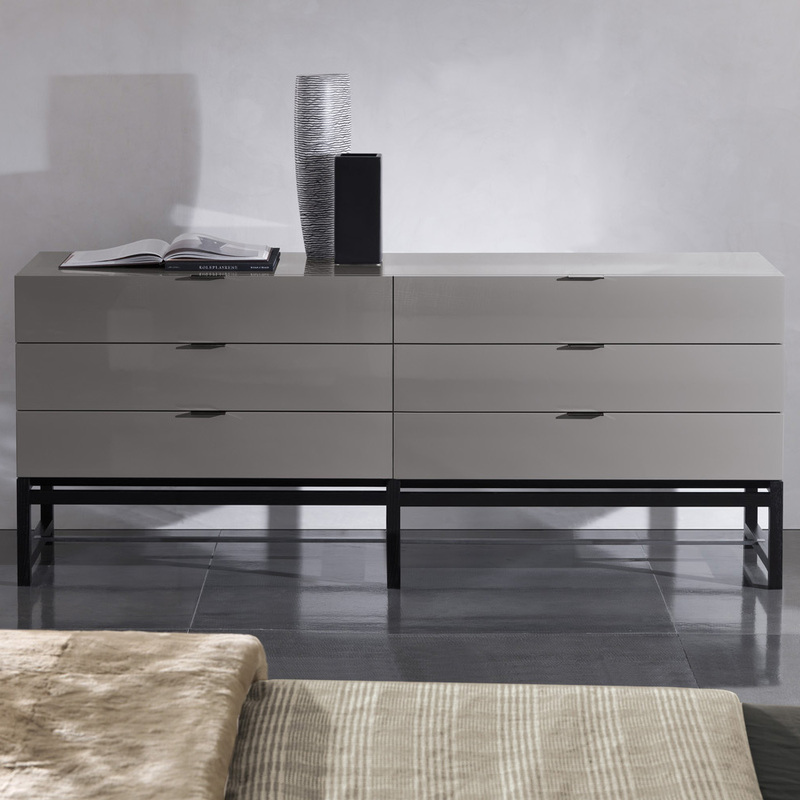 In addition, the reflections of the lacquered surfaces matched with the dark, classic shapes of the solid ash bases allow these products to stand out as unique.